A very good day to all my beautiful friends!! L’Oreal Manicure Pro is a salon quality nail enamel with a special brush that delivers flawless results. Strengthen nails with a high-shine finish. pro manicure’s unique, patented no-streak professional brush is flat, not round, so color goes on faster and smoother for even-looking coverage. Get a new kind of manicure that’s chip- and peel-resistant. $1.95 for 0.39 Fl Oz. I saw the price at some website. I got it as gift so dunno the exact cost J. 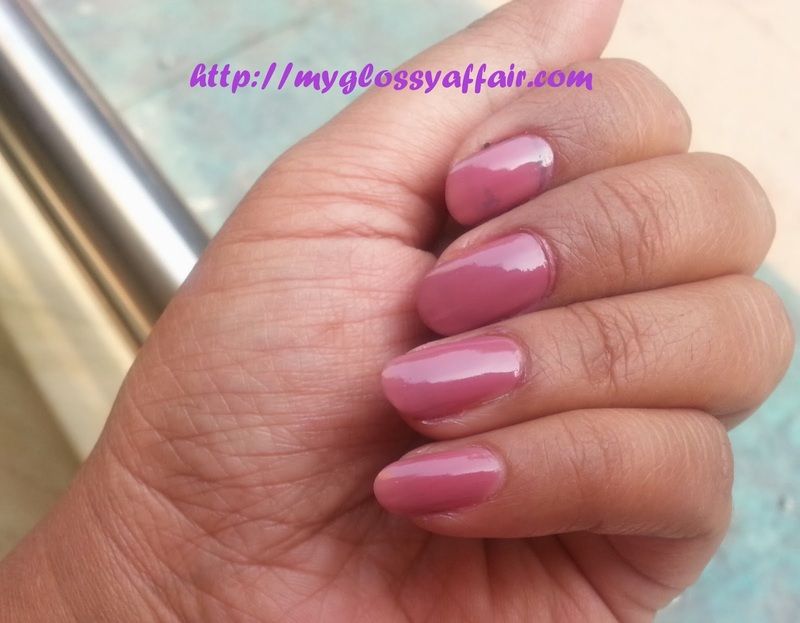 My honeymoon lasted for 8-9 days and so this colour without any top or base coat. Means it is long lasting and doesn’t chip. That quality I love. As the brand claims, the brush is flawless, super good and goes on nails smoothly and flawlessly without giving any streaks. Two coats and tada, you are done with this beauty and you can rest easily for next 7-8 days, if you don’t get bored. I never get bored with this beauty. 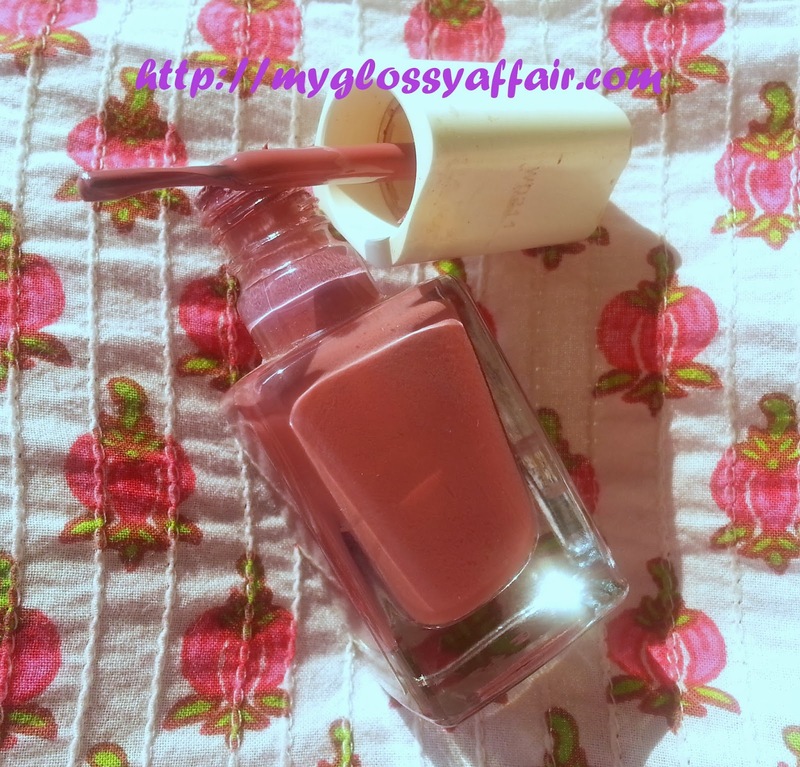 In fact, I find this nail polish amazing and a must have for all pink-mauve lovers. Nice creamy consistency. Neither too liquid nor too thick. The texture is good. 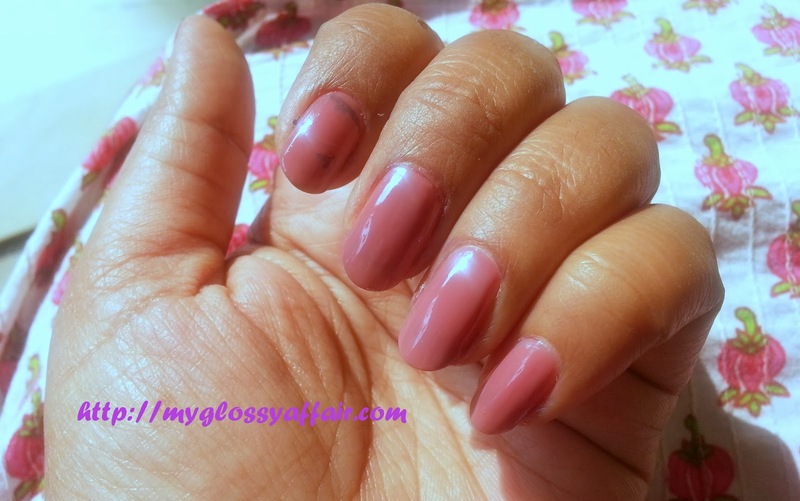 What I love about this nail polish is not only the colour but the formula too that gives such a smooth texture with no streaks or bubbles ever. A squarish glass bottle with a little glossy white cap, gives a classy look to the packaging. The brush provided is super fine and gives flawless results. 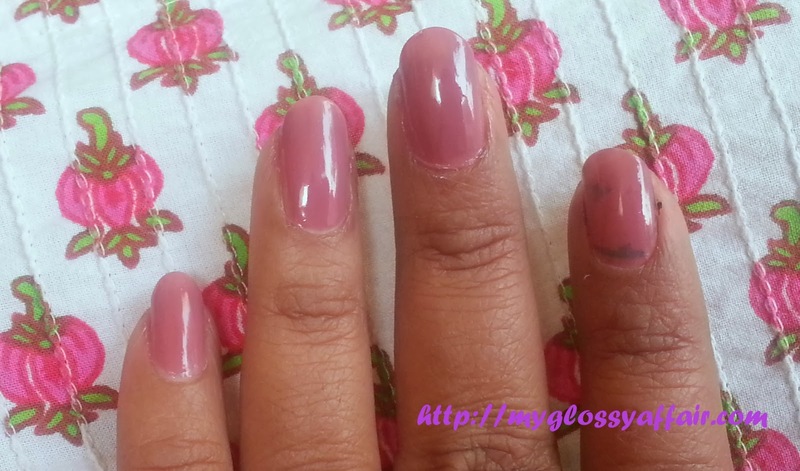 An awesome colour for pink – purple – mauve lovers. The formula is super fine and smooth. Brush is of very good quality. 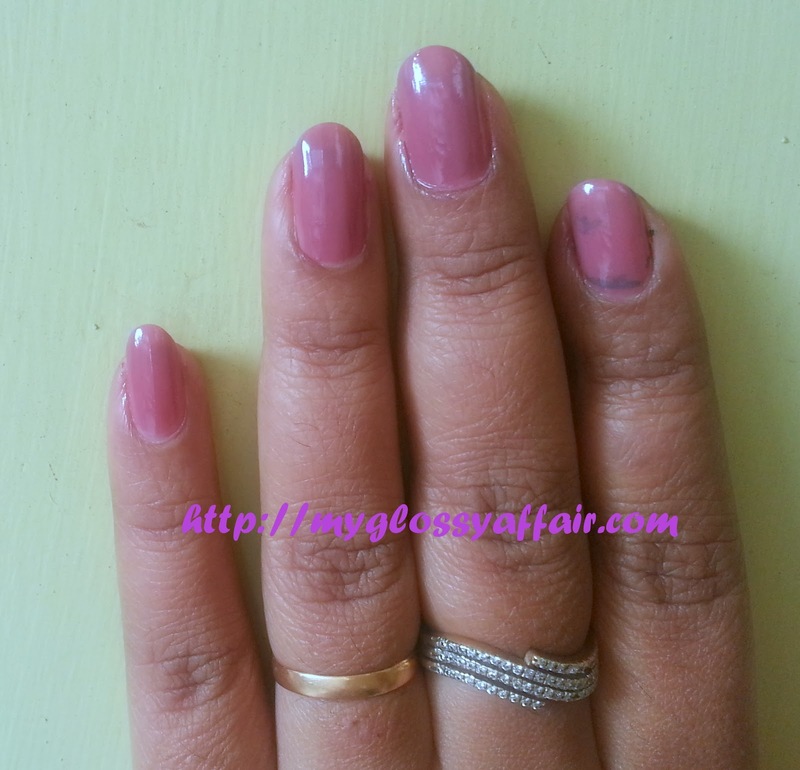 Very long lasting, say about 6-7 days easily, with no chipping. Compliments my dusky complexion very well. No cons. An absolute pleasure to have. But I am unable to find it here. 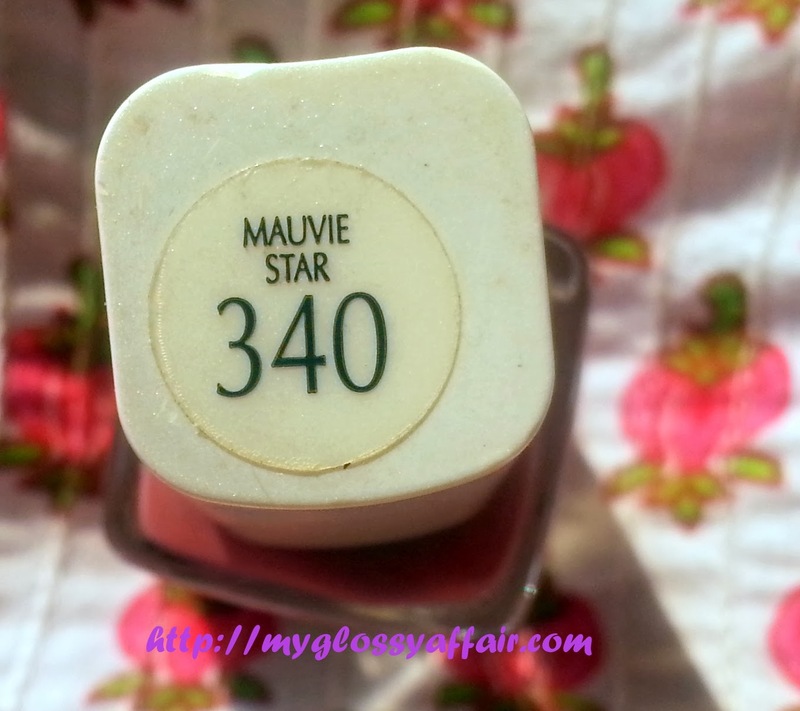 In fact, I would love to have this colour forever in my stash and would repurchase it ever if I can find it anywhere near me or online. But till date, I have not seen it anywhere. I would love to have more colours too from this range. gorgeous! what a classy and shiny pink 🙂 can't believe it's only $2…. want to do my nails now… ahhh! I havent seen this in the store. Such a pretty color it is! Love the color great job on the tutorial and review. Wow it looks so pretty on u but i think it would wash me out! the shade look gorgeous on u! Beautiful color! Love it on you! 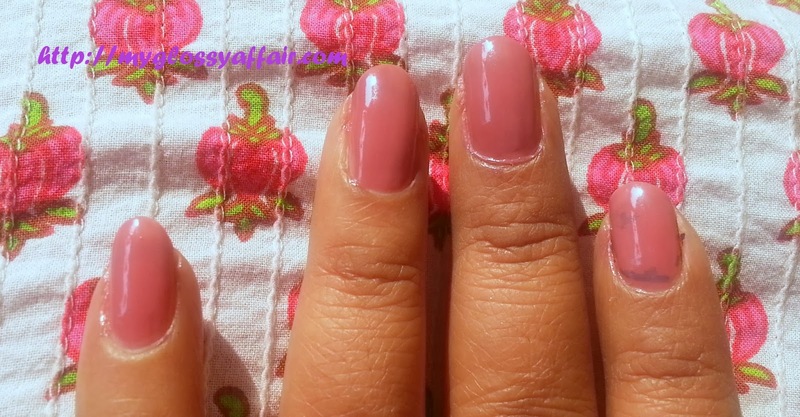 This is a great color for everyday. A beautiful colour! It's nice to have a product that you really love! Yes doll, its a very pretty colour but even I don't find these here!! Oh I love the color!! And the quality is very good too, gotta grab one when I have the chance! 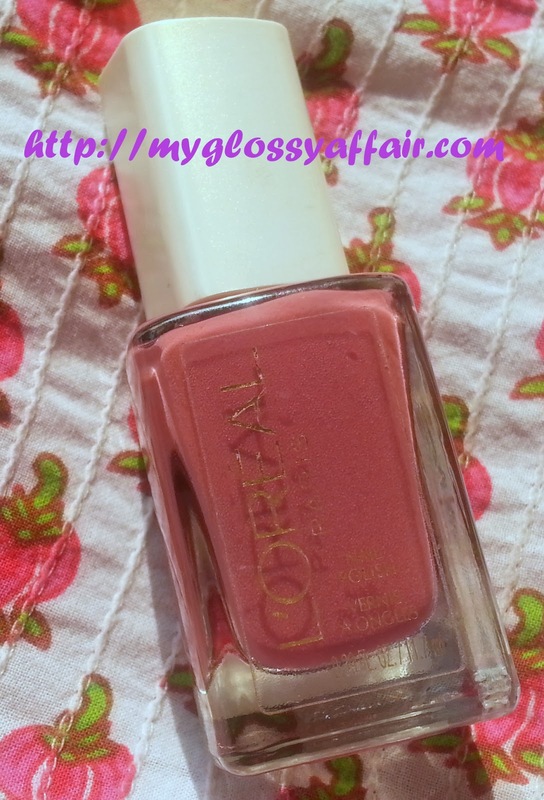 This is really pretty…I love pink so I am definitely a fan of this shade! thanks a lot hun 🙂 glad that u liked! !